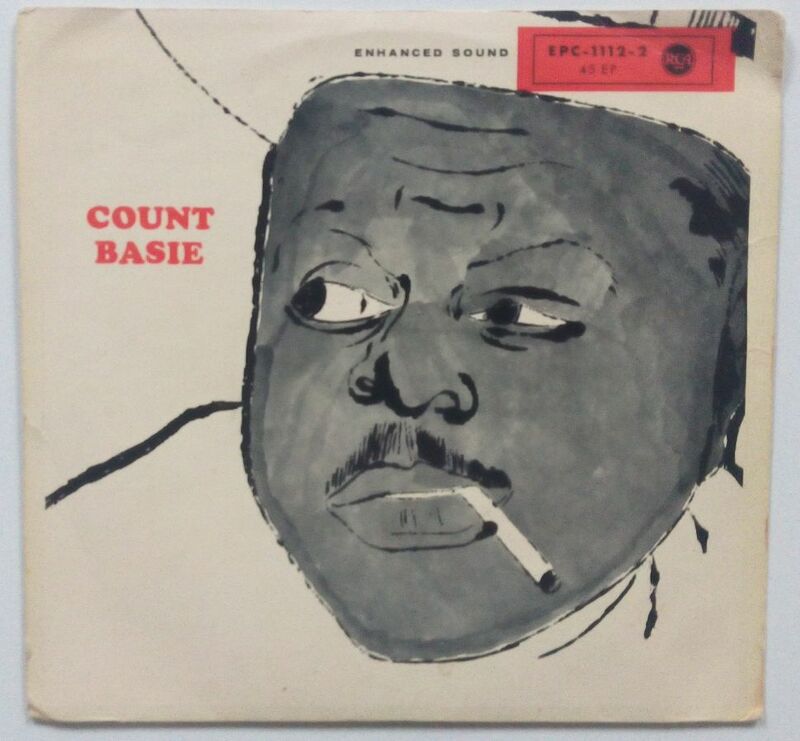 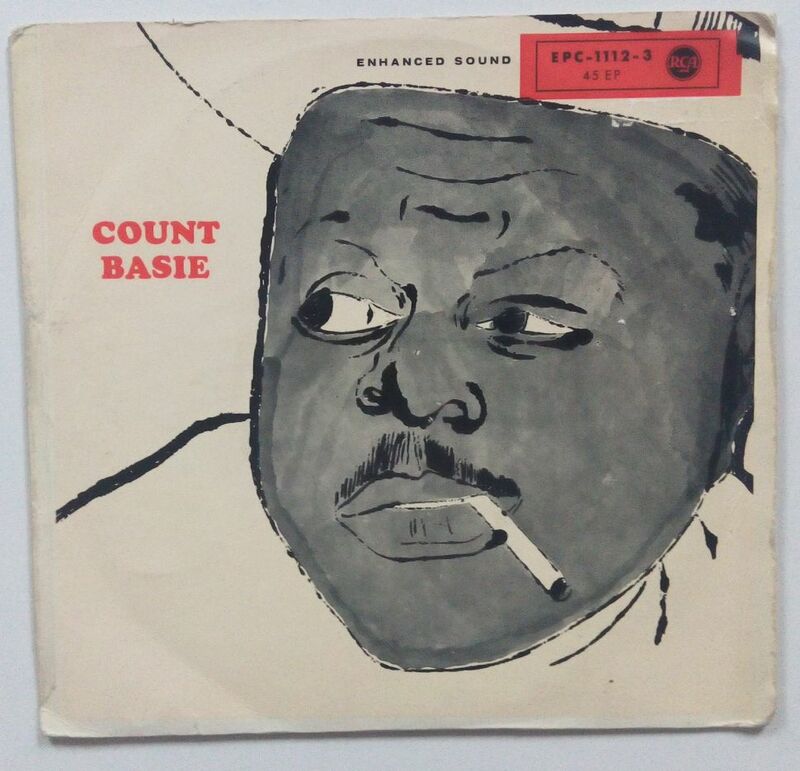 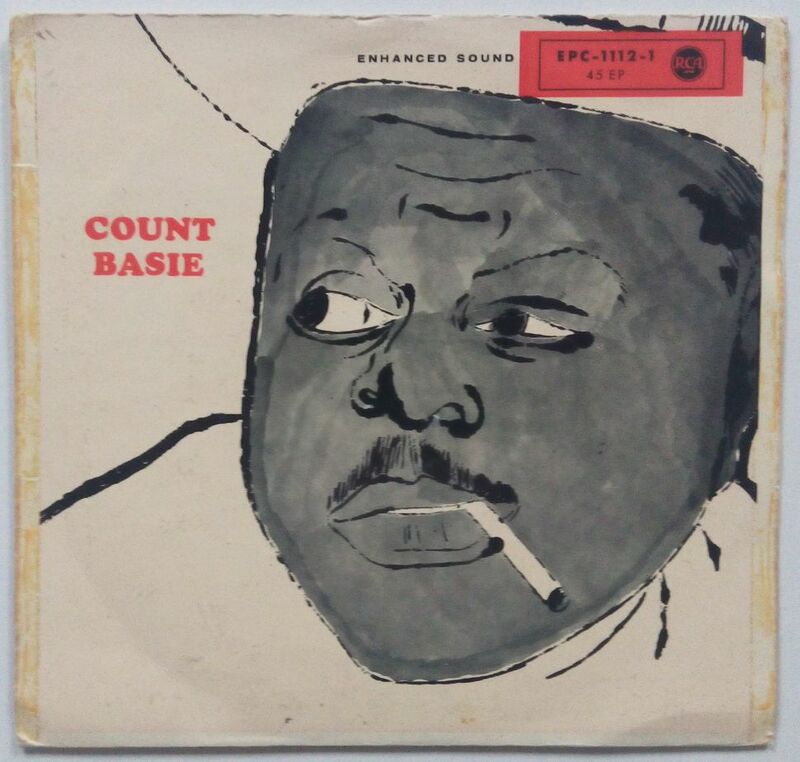 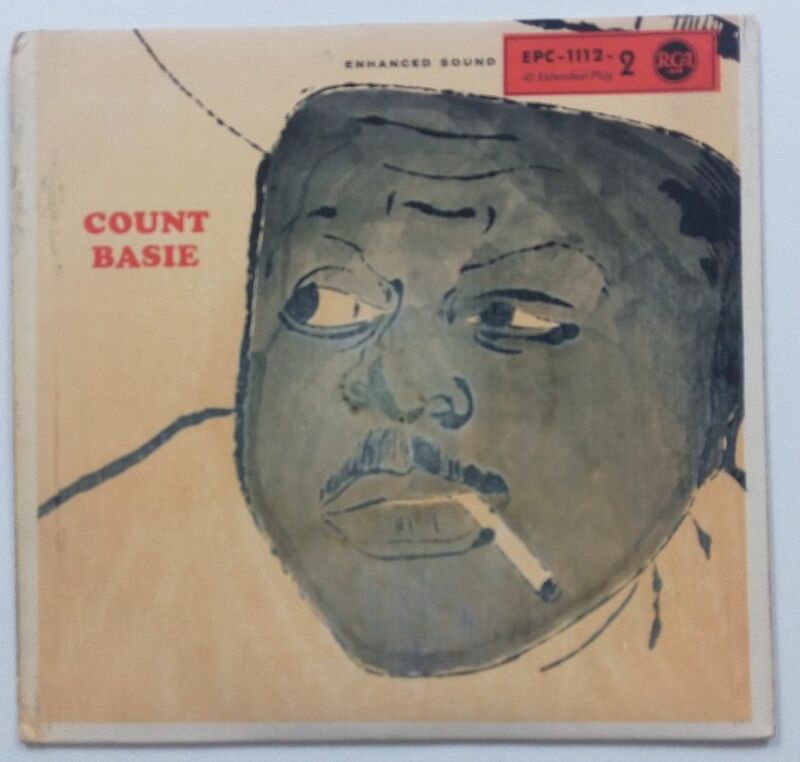 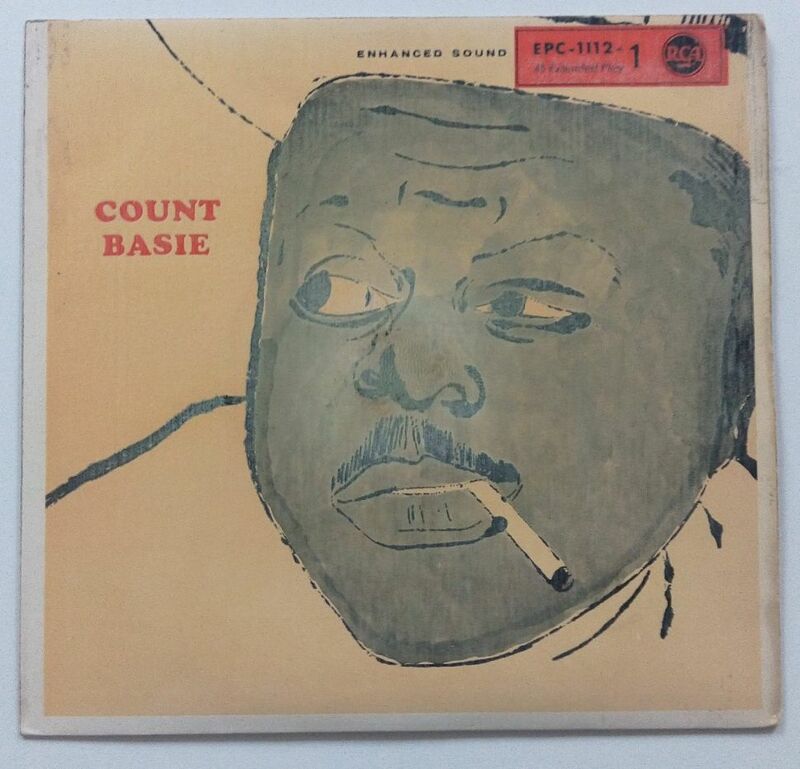 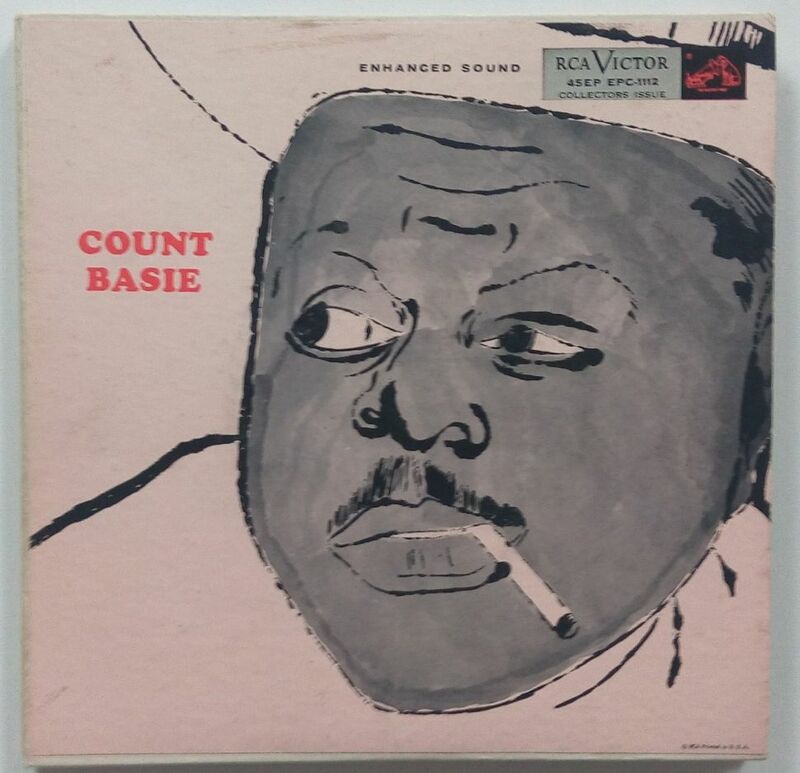 In 1955 RCA Victor released a Count Basie album – without a title – that had a beautiful Warhol portrait of the Count on the cover. 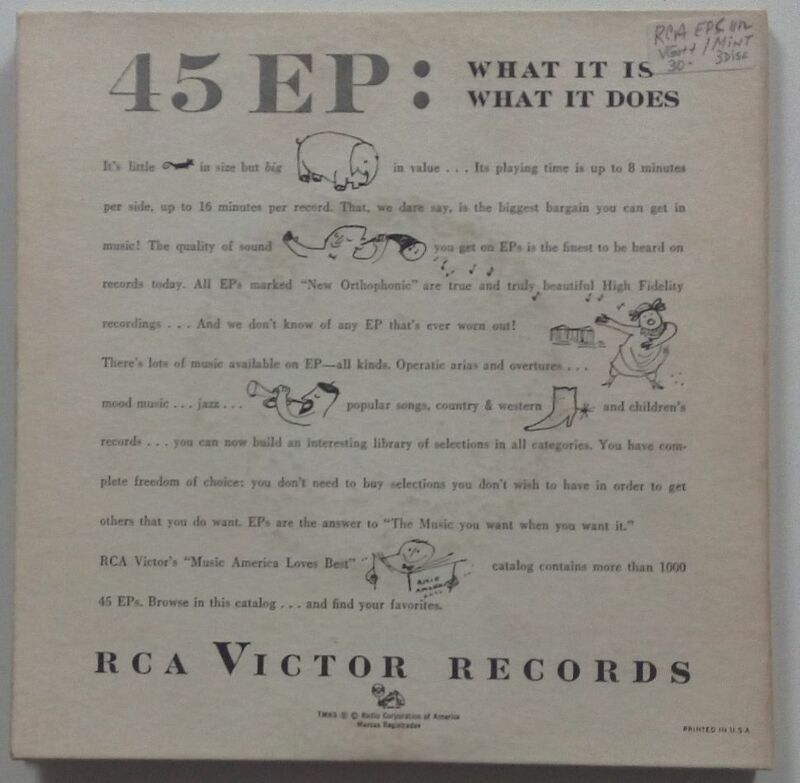 The complete album was also released on 7 inch, in a great triple gatefold cover (EPC-1112). 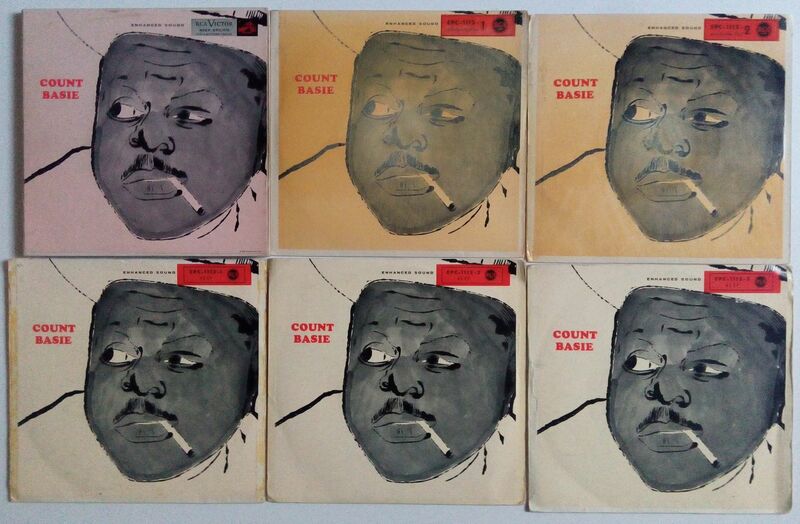 In Europe the three 7″ singles were issued separately (EPC-1112-1 until 3), even in two color variations. 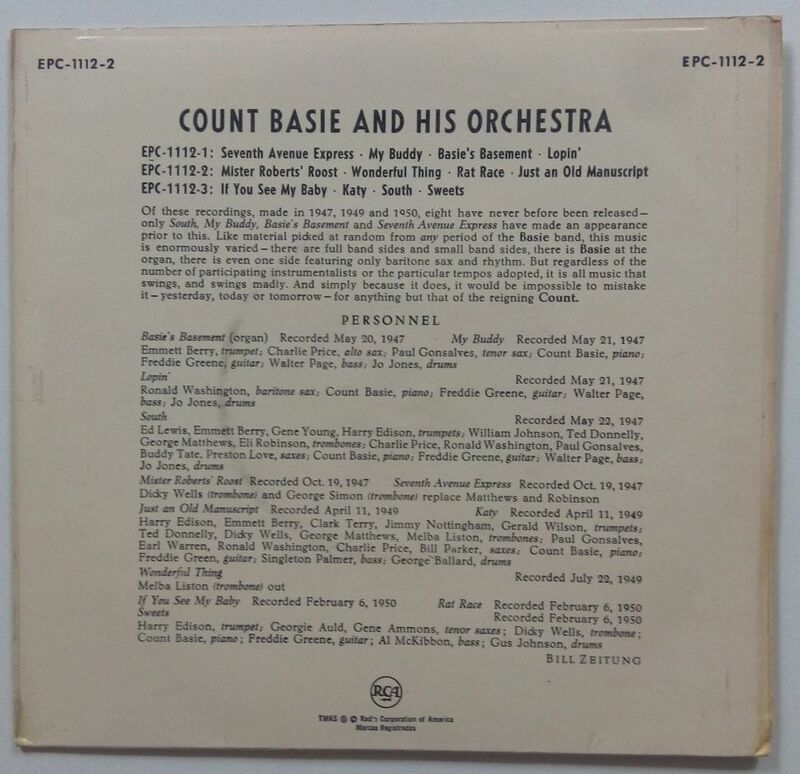 Of the yellow variation I only have records 1 and 2, but according to the notes on the back cover also nr. 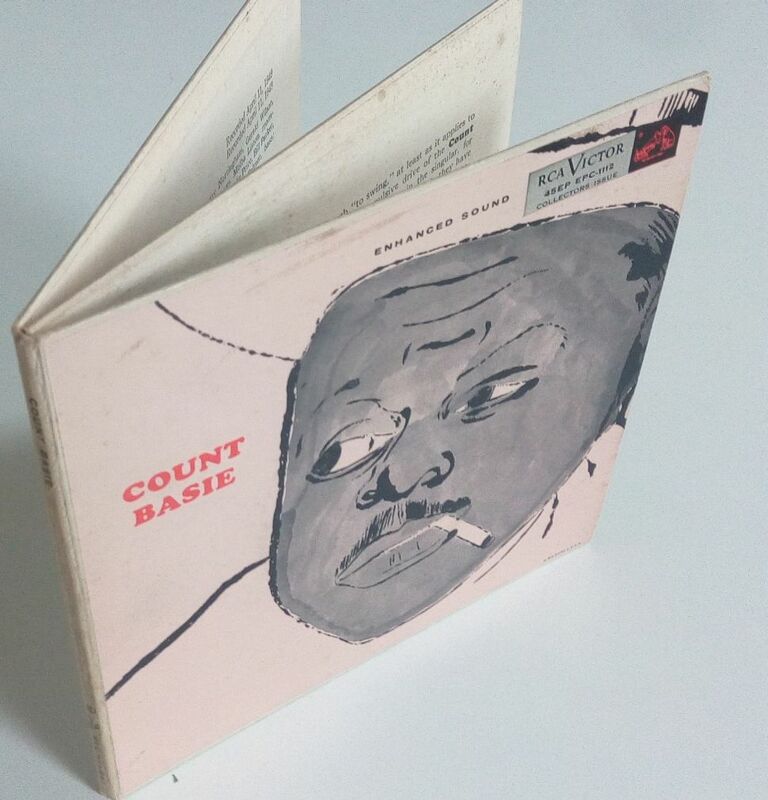 3 exists.